WEISERE S, VAZQUEZJ M, CANOR J, et al. 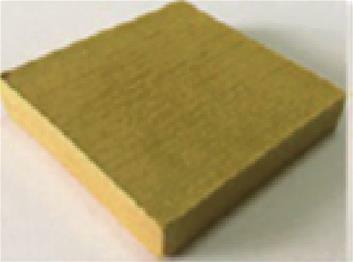 Polyimide foams[P]. US Patent: US75413881, 2009-06-02. WILLIAMSM K, WEISERE S, JAMESE, et al. 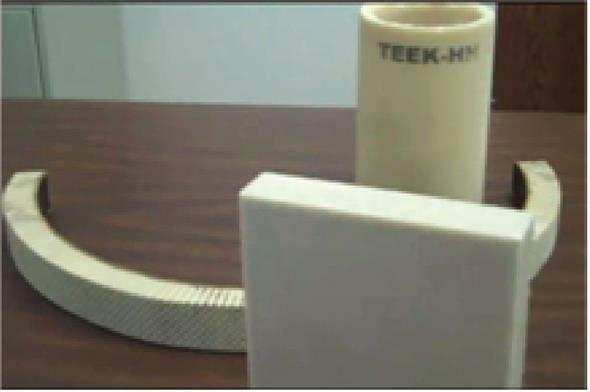 Foam/aerogel composite materials for thermal and acoustic insulation and cryogen storage[P]. US Patent: US7977411, 2011-07-12. SUMITAKAT, YUKIM, RYUICHIT, et al. 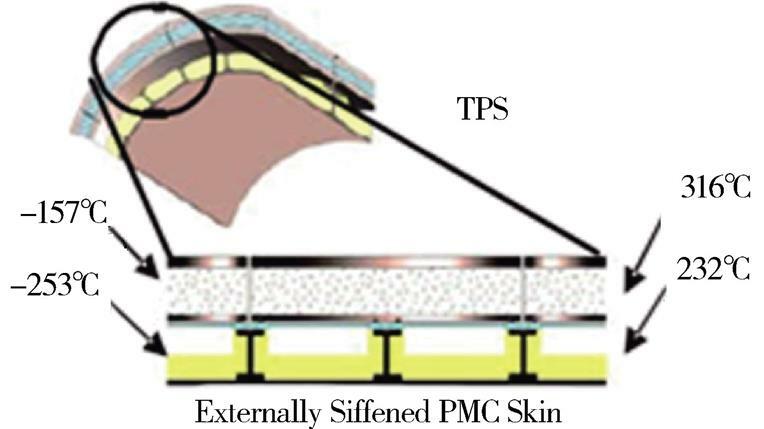 Performance evaluation of new thermal insulation system with polyimide foams [C]// 41st International Conference on Environmental Systems,Portland, Oregon: 2011. SUMITAKAT, YUKIM, RYUICHIT, et al. Study on combined conductive and radiative heat transfer in polyimide foam for space use [ C]// Proceedings of the 9th Asian Thermophysical Properties Conference, Beijing, China, 2010. SILCOXR. Development of polyimide foam for aircraft sidewall applications[C]// 51st AIAA aerospace sciences meeting including the new horizons forum and aerospace exposition, Texas, Grapevine, 2013. CHOIK Y, LEE J H, LEE S G, et al. 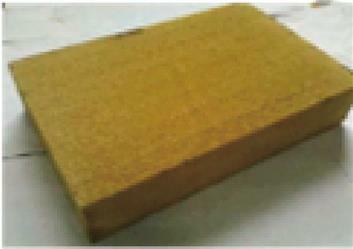 Method of preparing polyimide foam with excellent flexibility properties[P]. US Patent: US6057379, 2000-05-02. SEIBERTH. 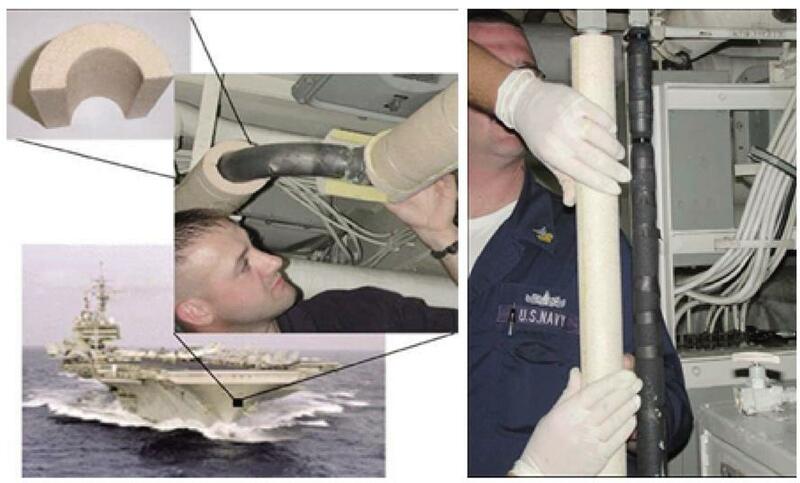 Application for PMI foams in aerospace sandwich structures[J]. Reinforced Plastics,2006(1):44-48. WEISERE S, GRIMSLEYB W. Polyimide foams from friable balloons[C]. Sampe, NASA-2002-47. YUF, WANGK, LIUX Y, et al. Preparation and properties of rigid polyimide foams derived from dianhydride and isocyanate[J]. Journal of Applied Polymer Science, 2013, 127(6):5075-5081. QIK, ZHANGG. Investigation on polyimide/silica hybrid foams and their erosion resistance to atomic oxygen[J]. 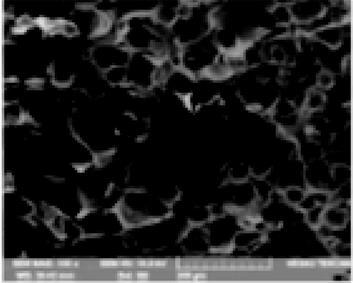 Polymer Composites, 2014, 36(4):713-721. XUL, JIANGS, LIB, et al. Graphene oxide: a versatile agent for polyimide foams with improved foaming capability and enhanced flexibility[J]. Chemistry of Materials, 2015, 27(12):4358-4367. 张琪,刘娟,孙立婧,等. APP对硬质聚氨酯-酰亚胺泡沫泡孔结构及力学性能的影响[J]. 塑料, 2015, 5(44): 7-10. 安曼,陈兴刚,侯桂香,等. 水对硬质聚氨酯-酰亚胺泡沫泡孔结构与性能的影响[J]. 材料工程, 2013(4): 39-44. ZHAIW, FENGW, LINGJ, et al. Fabrication of lightweight microcellular polyimide foams with three-dimensional shape by CO2 foaming and compression molding[J]. Industrial & Engineering Chemistry Research, 2012, 51(39):12827-12834. WANGL, HUA, LINF, et al. Structures and properties of closed-cell polyimide rigid foams[J]. Journal of Applied Polymer Science, 2013, 130(5):3282–3291. 许云汉,王磊磊,胡爱军,等. 耐高温聚酰亚胺泡沫[J]. 化学进展, 2018, 30(5): 684-691. YUKIOK, HIROAKIY, MASAFUMIK. Polyimide foam and method for producing same[P]. US Patent: 20110218265A1,2011-09-08. TAKASHIN, TAKASHIG. 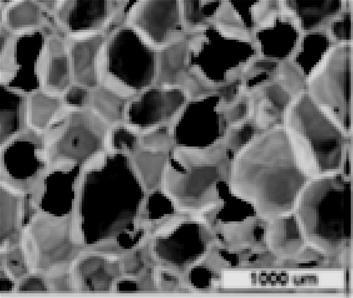 Thermoplastic polyimide-based resin foam and method for producing the same[P]. Japanese Patent: JP2007291202, 2007-11-08. KUWABARAA, OZASAM, SHIMOKAWAT, et al. 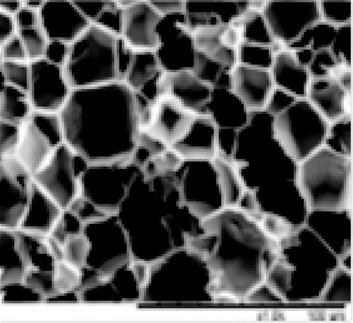 Basic mechanical properties of balloon-type TEEK-L polyimide foam andTEEK-L filled aramide-honeycomb core materials for sandwichstructures[J]. Advanced Composite Materials, 2005,14 (4):343-363. WEISERE S, NEWSN, CLAIRT S, et al. Hollow polyimide microspheres[P]. US Patent: US6235803, 2001-05-22. WILLIAMSM K, WEISERE S, BRENNERJ R, et al. Aromatic polyimide foams: factors that lead to high fire performance[J]. Polymer Degradation and Stability, 2005, 88: 20-27. SHENY X, ZHANM S, WANGK. The pyrolysis behaviors of polyimide foam derived from 3,3’,4,4’-benzophenone tetracarboxylicdianhydride/4,4’-oxydianiline[J]. Journal of Applied Polymer Science, 2010, 115(3):1680-1687. WILLIAMSM K, WEISERE S, et al. Effects of cell structure and density on the properties of high performance polyimide foams[J]. Polymers for advanced technologies, 2005 (16): 167-174. WEISERE S. Synthesis and characterization of polyimide residuum, friable balloons, microspheres and foams[D]. The College of Willian and Mary: Virginia, 2004: 35-46. The recent development of rigid aromatic polyimide foams is reviewed. The components, structures and properties as well as fabrication process of rigid aromatic polyimide foams are introduced. Moreover, properties and applications of rigid polyimide foams for commercialization are summarized. 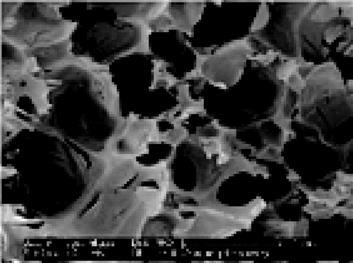 The problems found in the process and research of rigid polyimide foams are also analyzed. Its future research direction as well as the development trends is also pointed out. WEISER E S, VAZQUEZ J M, CANO R J, et al. 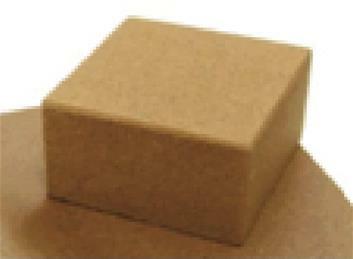 Polyimide foams[P]. US Patent: US75413881, 2009-06-02. WILLIAMS M K, WEISER E S, JAMES E, et al. 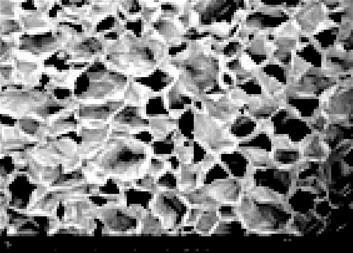 Foam/aerogel composite materials for thermal and acoustic insulation and cryogen storage[P]. US Patent: US7977411, 2011-07-12. SUMITAKA T, YUKI M, RYUICHI T, et al. 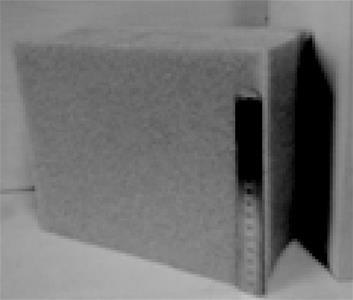 Performance evaluation of new thermal insulation system with polyimide foams [C]// 41st International Conference on Environmental Systems,Portland, Oregon: 2011. SUMITAKA T, YUKI M, RYUICHI T, et al. Study on combined conductive and radiative heat transfer in polyimide foam for space use [ C]// Proceedings of the 9th Asian Thermophysical Properties Conference, Beijing, China, 2010. SILCOX R. Development of polyimide foam for aircraft sidewall applications[C]// 51st AIAA aerospace sciences meeting including the new horizons forum and aerospace exposition, Texas, Grapevine, 2013. CHOI K Y, LEE J H, LEE S G, et al. 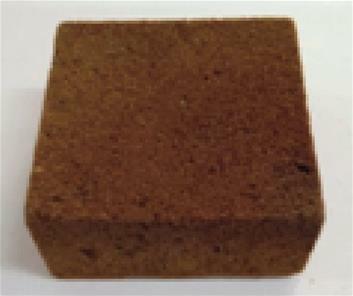 Method of preparing polyimide foam with excellent flexibility properties[P]. US Patent: US6057379, 2000-05-02. SEIBERT H. Application for PMI foams in aerospace sandwich structures[J]. Reinforced Plastics,2006(1):44-48. WEISER E S, GRIMSLEY B W. Polyimide foams from friable balloons[C]. Sampe, NASA-2002-47. YU F, WANG K, LIU X Y, et al. Preparation and properties of rigid polyimide foams derived from dianhydride and isocyanate[J]. Journal of Applied Polymer Science, 2013, 127(6):5075-5081. QI K, ZHANG G. Investigation on polyimide/silica hybrid foams and their erosion resistance to atomic oxygen[J]. 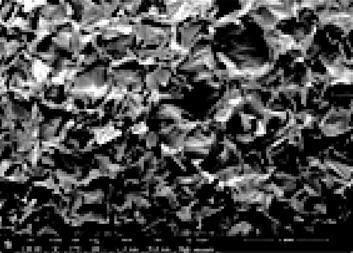 Polymer Composites, 2014, 36(4):713-721. XU L, JIANG S, LI B, et al. Graphene oxide: a versatile agent for polyimide foams with improved foaming capability and enhanced flexibility[J]. Chemistry of Materials, 2015, 27(12):4358-4367. ZHAI W, FENG W, LING J, et al. Fabrication of lightweight microcellular polyimide foams with three-dimensional shape by CO2 foaming and compression molding[J]. Industrial & Engineering Chemistry Research, 2012, 51(39):12827-12834. WANG L, HU A, LIN F, et al. 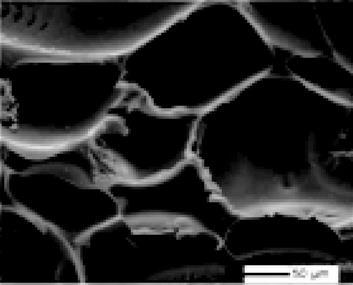 Structures and properties of closed-cell polyimide rigid foams[J]. Journal of Applied Polymer Science, 2013, 130(5):3282–3291. YUKIO K, HIROAKI Y, MASAFUMI K. Polyimide foam and method for producing same[P]. US Patent: 20110218265A1,2011-09-08. 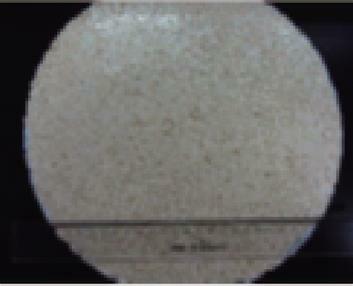 TAKASHI N, TAKASHI G. Thermoplastic polyimide-based resin foam and method for producing the same[P]. Japanese Patent: JP2007291202, 2007-11-08. KUWABARA A, OZASA M, SHIMOKAWA T, et al. Basic mechanical properties of balloon-type TEEK-L polyimide foam andTEEK-L filled aramide-honeycomb core materials for sandwichstructures[J]. Advanced Composite Materials, 2005,14 (4):343-363. WEISER E S, NEWS N, CLAIR T S, et al. Hollow polyimide microspheres[P]. US Patent: US6235803, 2001-05-22. WILLIAMS M K, WEISER E S, BRENNER J R, et al. 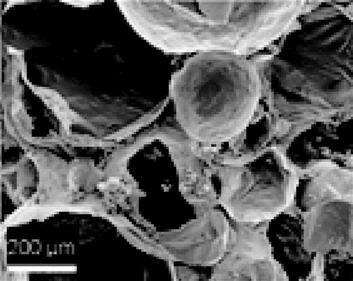 Aromatic polyimide foams: factors that lead to high fire performance[J]. Polymer Degradation and Stability, 2005, 88: 20-27. SHEN Y X, ZHAN M S, WANG K. The pyrolysis behaviors of polyimide foam derived from 3,3’,4,4’-benzophenone tetracarboxylicdianhydride/4,4’-oxydianiline[J]. Journal of Applied Polymer Science, 2010, 115(3):1680-1687. WILLIAMS M K, WEISER E S, et al. 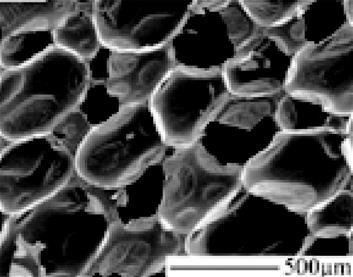 Effects of cell structure and density on the properties of high performance polyimide foams[J]. Polymers for advanced technologies, 2005 (16): 167-174. WEISER E S. Synthesis and characterization of polyimide residuum, friable balloons, microspheres and foams[D]. The College of Willian and Mary: Virginia, 2004: 35-46. 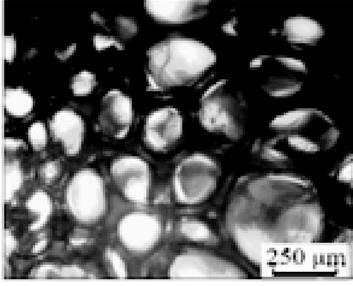 MA Jingjing,ZHAO Yibo,JIU Yongbin,et al.Research Progress of Rigid Aromatic Polyimide Foams[J].Aerospace Materials & Technology,2019,49(02):1-6.